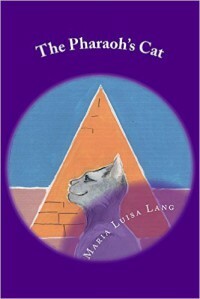 When a stray cat in ancient Egypt is abused by the Vizier in a pyramid, the goddess Bastet reacts. Now with human like qualities including the ability to walk and talk, Wrappa-Hamen becomes the favored of the Pharaoh and is under his protection. The two become fast friends and the Vizier does not like that he is not as close to the Pharaoh as he once was. As the two have many adventures, Wrappa-Hamen begins to notice things that the Pharaoh doesn’t about the Vizier, including his attitude, treatment of others, and overall jealousy. When the Pharaoh is murdered, the Vizier accuses Wrappa-Hamen and attempts to arrest him. With the help of an inventor, who is also the High Priest Wrappa-Gato, Wrappa-Hamen escapes. Now in a different time, can Wrappa-Gato and Wrappa-Hamen figure out what happened and how to fix it? When I told my boyfriend I was reading this book and what it was about, he was a little concerned. You see, I have been fascinated with Ancient Egypt from the time I was a kid. I spend most days with the tv on watching documentaries about anything to do with that time in History. I know a lot about that time frame, which means I look for historical accuracy. He felt that I wouldn’t be able to suspend reality enough to get behind and review fairly this book. He was so wrong! I was excited reading this! You have a smart mouth being who is both cat and human, various gods, including Bastet, pharaoh’s, priests, etc. Besides, the writing is so good, I couldn’t stop reading. I needed to know what happened next. By the way, if you want to know where the cat and high priest end up when they flee (and you should), check this book out. It’s really good and I can’t wait to get started on the next one.